When planning trips we often think we can anticipate with a lot of certainty what the outcome of the trip will be. 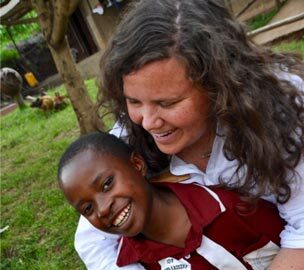 My recent trip to Uganda did not come close to meeting my expectations. It literally blew them away! This happened notwithstanding the fact that I made one of the biggest mistakes of my life by allowing business commitments to cut short my visit to Buhoma and the Victory and Ebeneezer Schools by three days! How I wish I could get those three days back. It was a modern day fishes and loaves. Our group from the recent vision trip met to discuss how we were going to raise money and get the remaining kids sponsored. After about an hour of brainstorming, Birnie suggested a lemonade stand. What if we go grassroots? We loved the idea and made plans to have it that weekend. 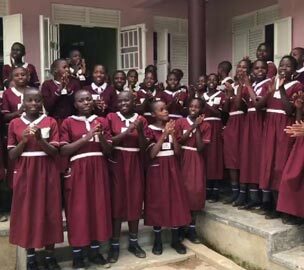 We are excited to announce the opening of the new Victory School girl’s dormitory, made possible by the generous support of the GWR Foundation. The truck ride from Kihili airport was almost silent. The windows were rolled down and everyone’s eyes were focused outward. The anticipation, the excitement, the curiosity, the wonder and the awe were all tangible. An initial warm handshake was accompanied by the words “You are welcome.” Many more handshakes, spontaneous hugs, and smile after smile emerged in the crowd of children who surrounded our vehicle. Two days after leaving Texas, we had arrived at Victory School. And welcomed we were. My freshly sanitized hands and anxious spirit prepared for full and immediate immersion. 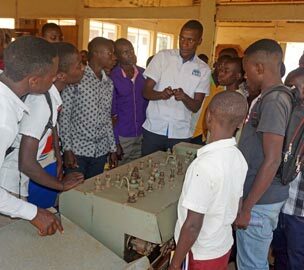 54 secondary students sponsored by the Kamukama Foundation travelled 11 hours to attend a 5 day Youth Camp in Kampala. For almost all of our students, it was their first time leaving their villages. 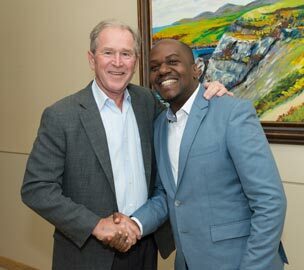 My first time to leave Africa for the United States offered me a grand opportunity to perceive life through a lens of abundance. My inherent passion for giving, sharing, and loving paid off handsomely with a lifetime trip to Texas, US. 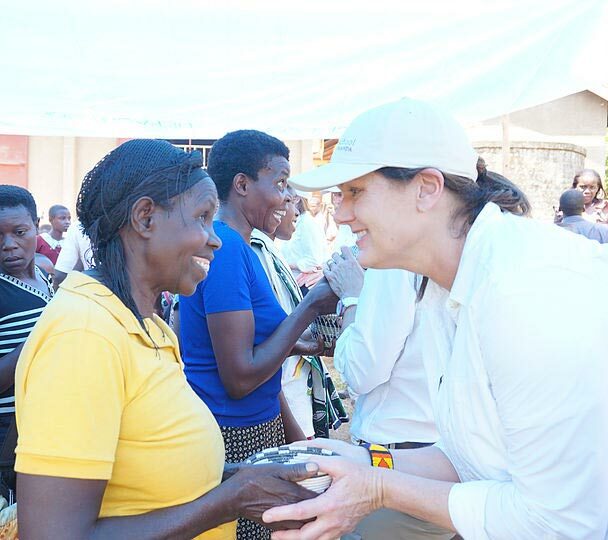 This visit wouldn’t have been possible if I wasn’t representing the impoverished families (students and parents) of Bwindi Buhoma. I was living the dream of every single African child. 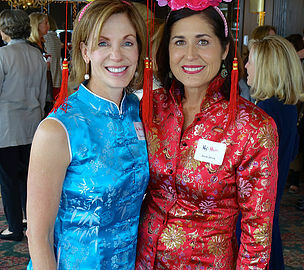 A big thank you to co-chairs, Mary Marinelli and Amy Ehrlich, for a very successful 3rd annual Maj For a Mission! 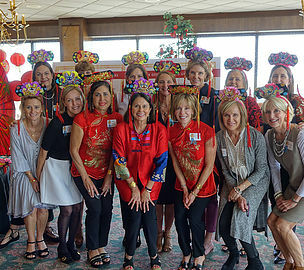 Over 200 women gathered to play maj jongg to support Kamukama Foundation’s mission to provide life-changing opportunities to the most vulnerable children in Uganda. 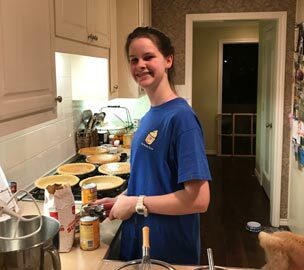 For a second year in a row, 7th grader Graydon from Dallas, Texas, made and sold enough Thanksgiving pumpkin pies to donate $1,500 to help children at Victory School. We are so appreciative of her serving heart. Each time we pulled into the red gates of Victory school, we were greeted by elated children jumping up and down and beaming teachers waving at us. I’d look around at the faces of our group, and I could not decide who was more excited to see whom. Boots on the Ground! 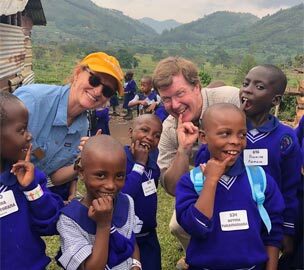 Founders Jeanne and Lew Little along with board members Carol and Milo Burdette traveled to Bwindi for progress evaluation. They were humbled by the remarkable improvements that have occurred in five short years. 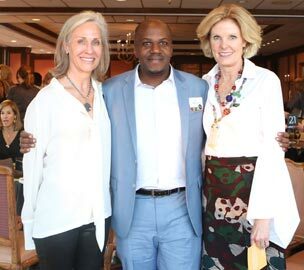 All thanks to the supporters of the Kamakamu Foundation. They came home inspired to develop more additional outreach programs to support these vulnerable children. 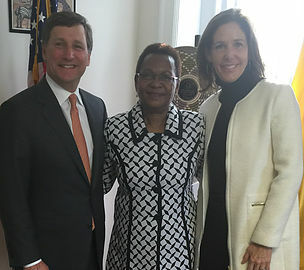 Kamukama Foundation Board members Jeanne and Lew Little met with Ugandan Ambassador Oliver Wonekha in Washington DC to discuss educational needs in Uganda and the mission of Victory School. Thank you for your valuable insight and collaboration Ambassador Wonekha! Graydon, a 6th grader from Dallas Texas, wanted to do something to help the students at Victory School. 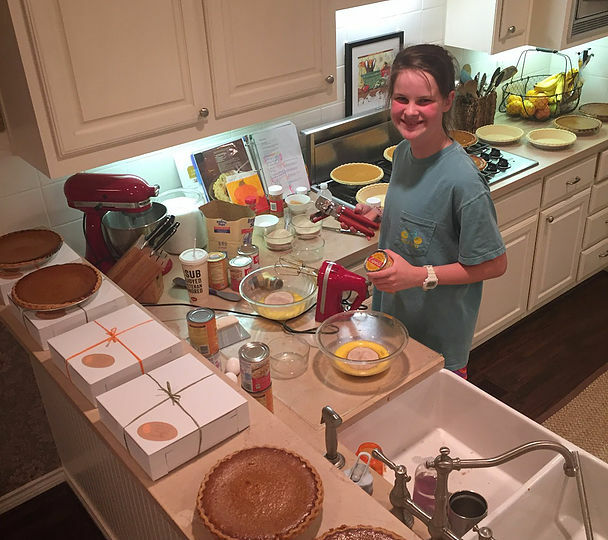 She made and sold 32 pumpkin pies for Thanksgiving and donated the proceeds to Victory School. On November 4th we raised over $100,000 at the 2nd annual Maj For a Mission. 200 people had a wonderful afternoon playing Maj Jong and helping us spread the word about Victory School. Thank you to Ruthie Burrus and Anne Jarvis for their leadership of such a successful event. The 2016 Vision Trip was an opportunity to witness the power of God’s love. For one week I stepped into an educational community built on God’s shoulders with faith, hard work, determination and song. 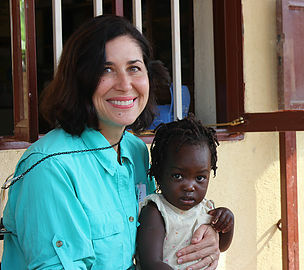 Maggie learned about Victory School Uganda from a friend. After hearing that the school’s volleyball court had no net and balls she decided to help. She organized a Christmas party with her friends and their mothers to share the news of Victory School. 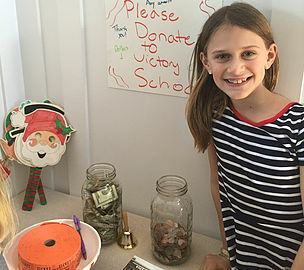 To date, she has raised over $1,000! 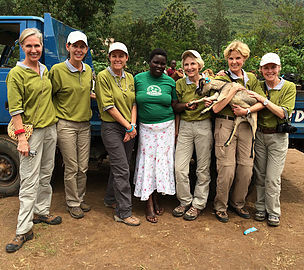 Our group will head to Uganda in late January with duffle bags full of nets, balls and pumps. 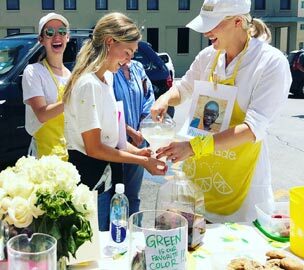 Amazing to see what a 10 year old can do to help others. We look forward to telling Victory School students all about Maggie. Mission accomplished! Every Victory School student now has a sponsor, thanks to the creative genius of Ruthie Burrus and Anne Jarvis. 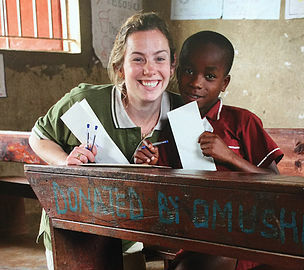 In addition to the sponsorships, Maj for a Mission raised funds to continue the amazing work being done at the school. A huge thank you to Ruthie and Anne. 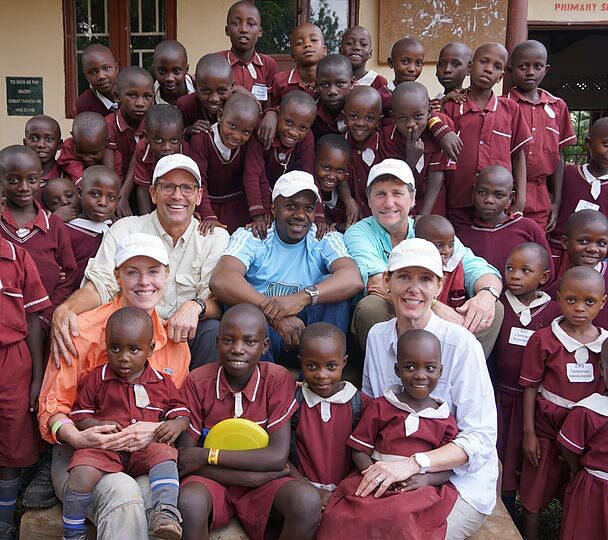 Prior to going to Uganda in 2015 I had traveled to foreign countries and had also participated in mission trips but visiting Victory School was truly life changing for me. I realize it was so emotionally impactful because I was able to cross the globe and meet in person the children I was sponsoring and have a real connection with them and their classmates. Spending time at the Victory School in 2014 was an introduction to a world unknown to me. My first impression of driving into Bwindi, a small town with no electricity or paved streets and seeing the Victory School was a stark comparison to America.